Highly commended in the Spirit of Nature Photo competition. Labyrinth spider entrance taken by Larry Doherty from Ireland. Other runners up included pics of diving kingfishers, a polar bear on the ice a colourful portrait of a green tree python and a black kite carrying a struggling lapwing in Bangladesh. Photographer Larry said: “I take macro photos of insects all the time. I like to show the insects under our feet. A lot of people don’t even see this part of our wildlife or dismiss it. Highly commended in the Spirit of Nature Photo competition. 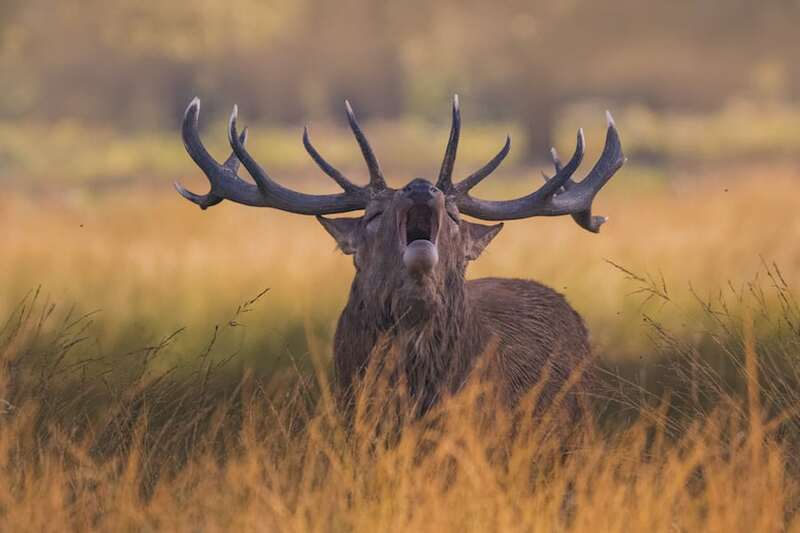 Red deer stag calling taken by Kutub Uddin from Bognor Regis. Runner up was retired magistrate Anne Woodington from Guernsey with a breathtaking shot of a polar bear just yards away. Highly commended in the Spirit of Nature Photo competition. Zebras at Samburu in Kenya by Prashant Vaidya. 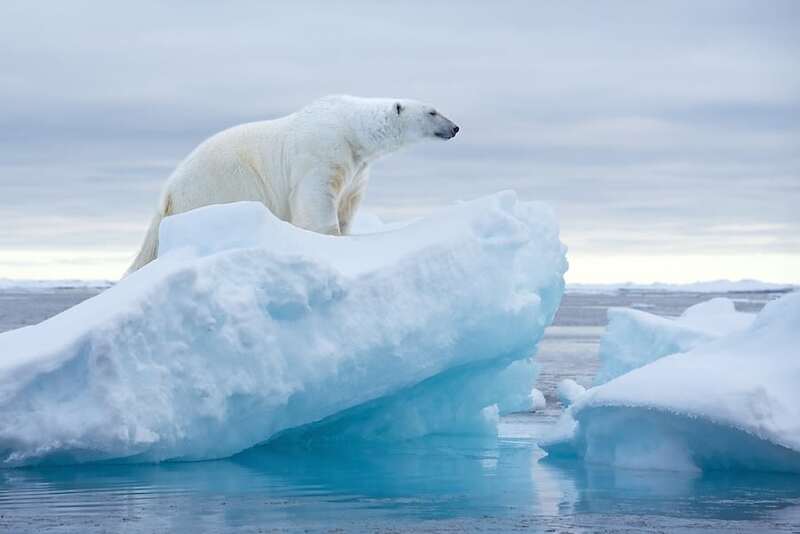 She said: “The picture was taken in the pack ice somewhere considerably north of Svalbard, Norway. “We were in a small rib and got out to stand on a small ice floe in the middle of the ocean with floes all around but no land in sight. “One of the group spotted a male bear swimming towards us so we hastily got back into the safety of the rib. Highly commended in the Spirit of Nature Photo competition. Little Owl confronting a great spotted woodpecker by John Hunt in Gloucester. “Shortly afterwards the bear came up out of the water and sniffed and explored the area. Highly commended in the Spirit of Nature Photo competition. Green tree python by american Tom Gillespie taken at North Carolina Zoo. 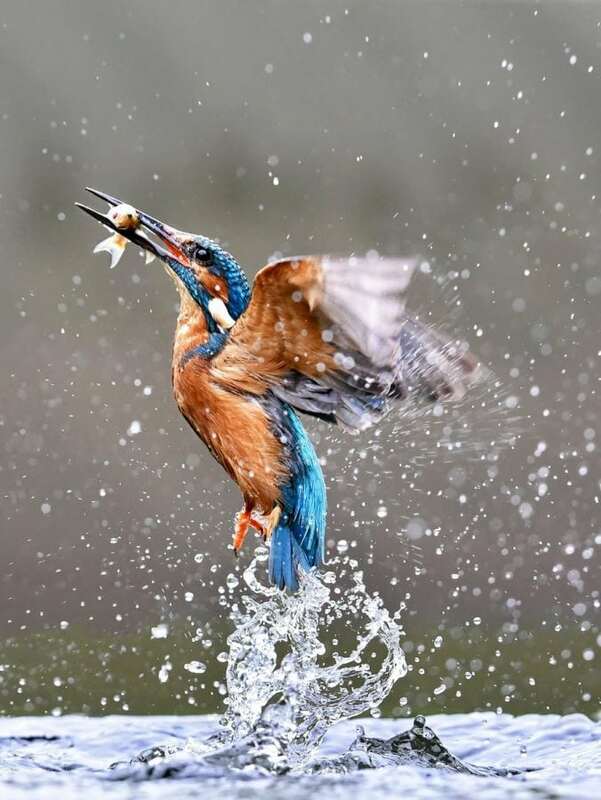 In third place came Darren Athersmith’s pic of a kingfisher fishing in southern Scotland. 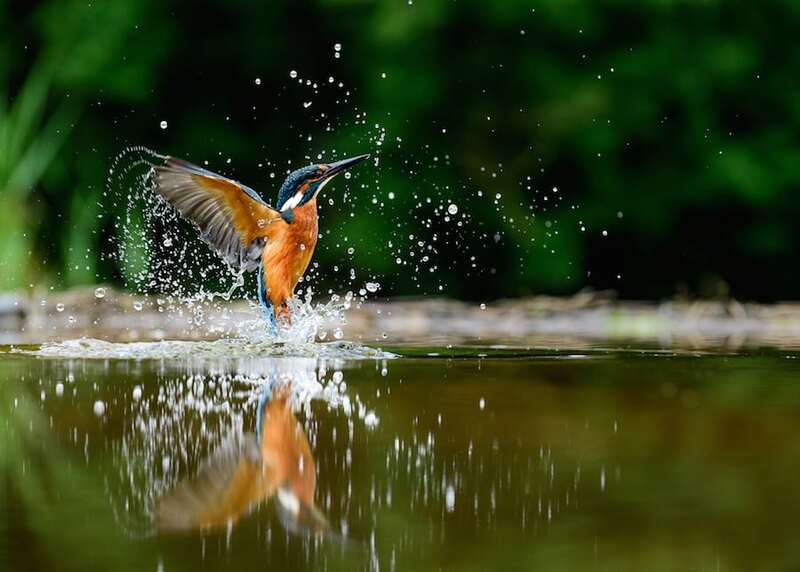 Darren, 51, an engineering operations manager at a large pharmaceutical company, said: “This particular shot was taken from a hide just over the Scottish border where kingfishers are regularly seen. Highly commended in the Spirit of Nature Photo competition. 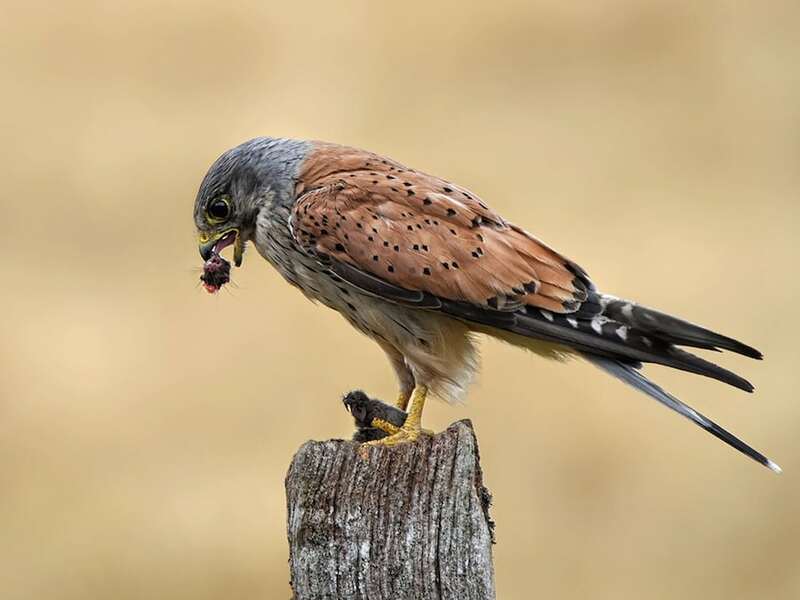 kestrel eating mouse by Scot Edmund Telford taken from a hide near Droitwich. “I headed there early one morning in July when the juvenile kingfishers had fledged and were starting to dive themselves. Another kingfisher image by Scottish snapper Edmund Telford, from Ayr was highly commended. Highly commended in the Spirit of Nature Photo competition. Kingfisher by Scot Edmund Telford also taken near Droitwich. The 73 year old spent three days in a hide near Droitwich, Worcester to capture his shot. His trip also produced another highly commended image, that of a kestrel on a post feasting on a mouse’s head he has just pulled off the body. 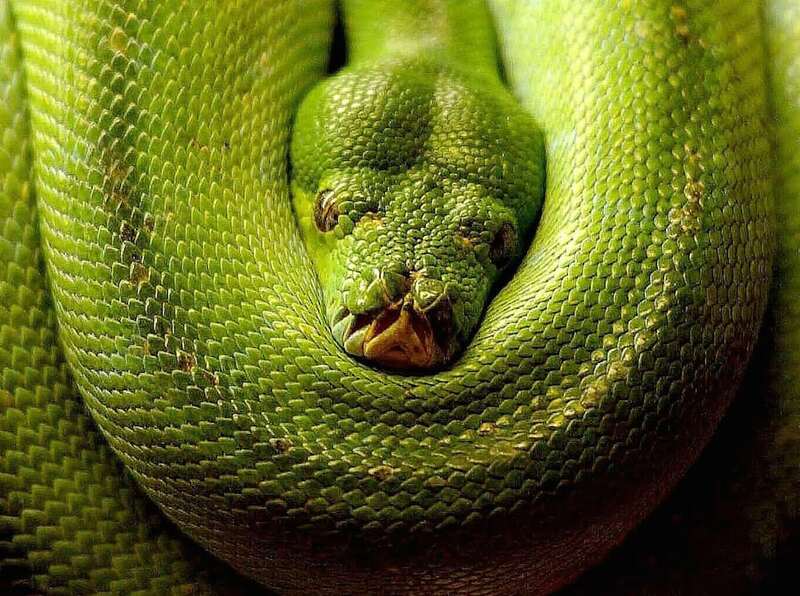 American Tom Gillespie travelled to his local zoo in North Carolina to get this striking portrait of a green tree python. Tom, a former writer and photographer for the US army ended up working at the zoo before retiring a few years ago. He said: ” It’s a fairly straightforward shot other than having to wait for the proper sunlight. Highly commended in the Spirit of Nature Photo competition Black kite with lapwing by Minhajul Haque from Bangladesh. 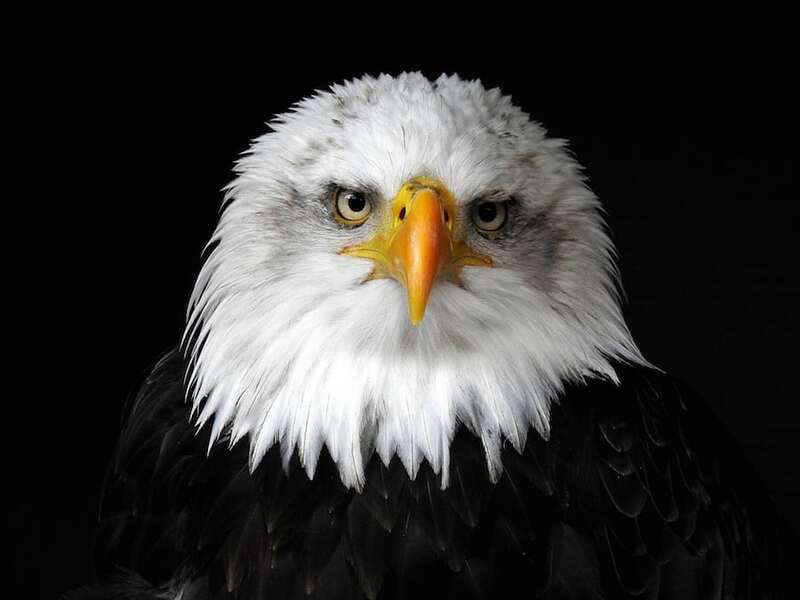 Also highly commended was another portrait, this time of a bald eagle, taken by Brit Kathryn Willett at her local falconry centre near Dudley. 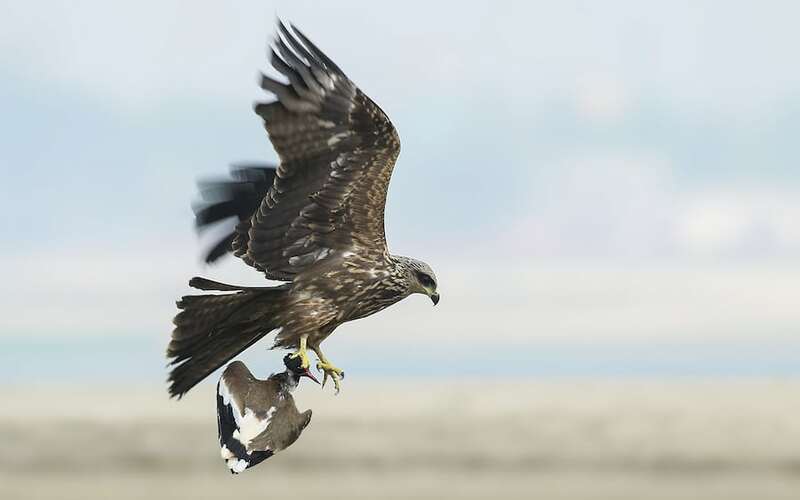 Another highly commended bird of prey shot is this gruesome pic of a black kite carrying off a red wattled lapwing. Student Minhajul Haque, 25, from Bogra, Bangladesh, said: “The picture was taken at Rajshahi, when I was touring on River Padma and suddenly I noticed the kite just fly away over my head with a big catch. I took some shots as soon as possible. 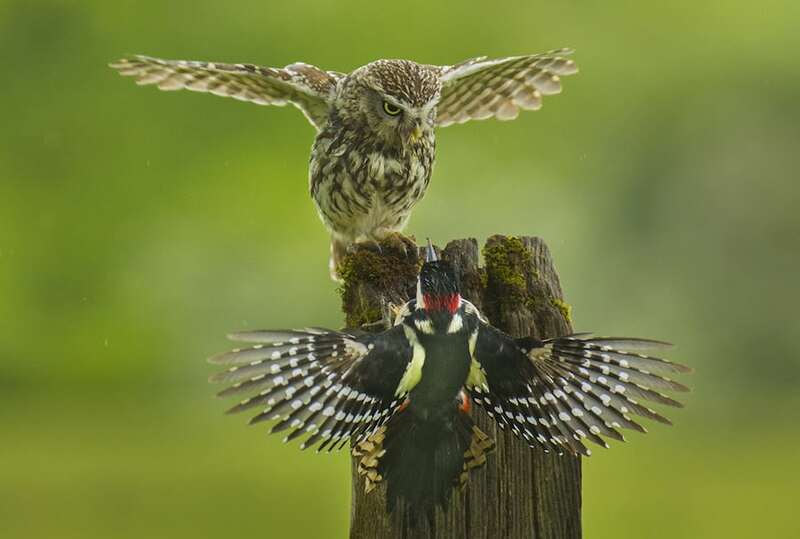 John Hunt, from Kent, was also highly commended for an unusual shot of a tussle between a woodpecker and an owl. 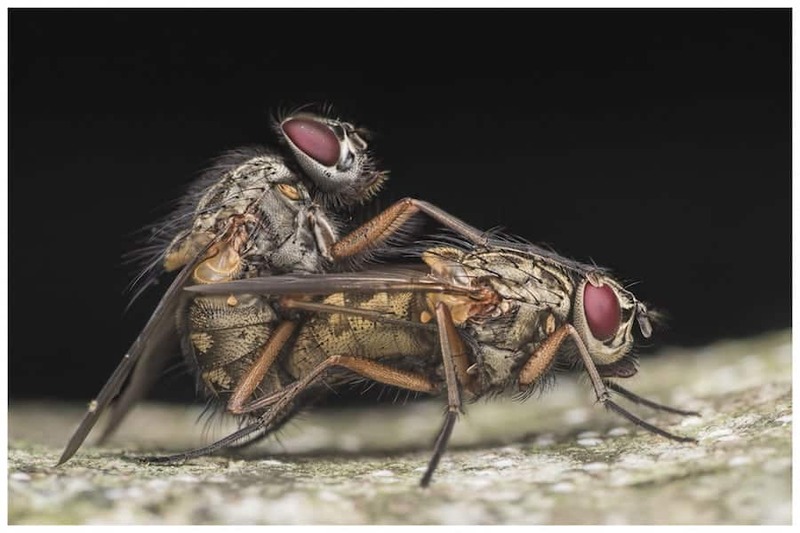 Winner in the Spirit of Nature Photo competition – flies mating by Irishman Larry Doherty taken in County Tipperary Ireland. 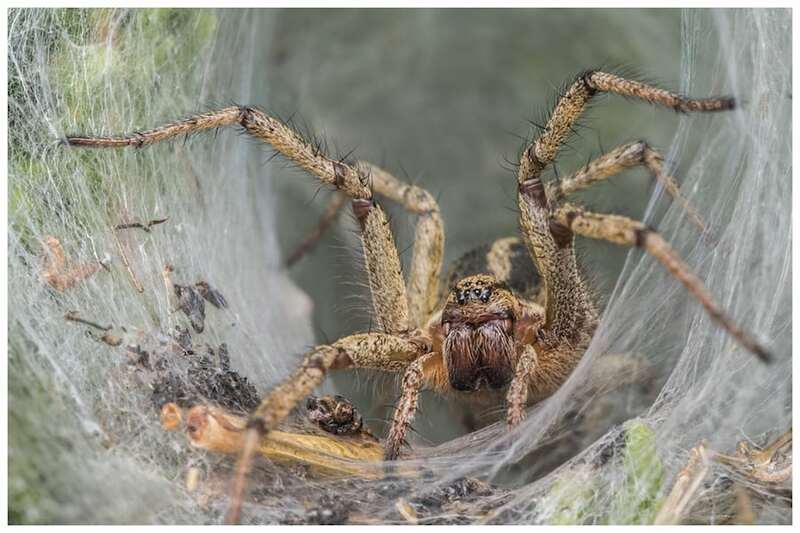 Winner Larry Doherty was also highly commended for his creepy-looking picture of a labyrinth spider as was Kutub Uddin from Bognor Regis for his Red Deer stag calling. Highly commended in the Spirit of Nature Photo competition. Bald Eagle taken by Kathryn Willett at her local falconry centre near Dudley. 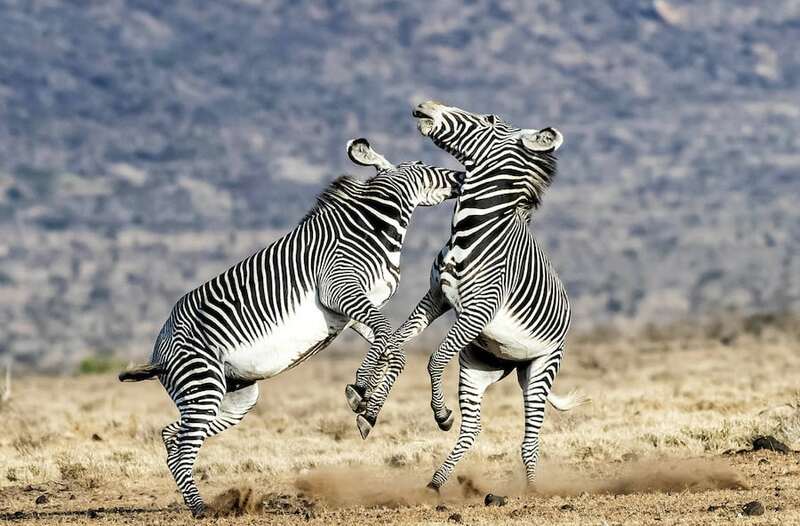 And this picture of zebras playing in Samburu National Park, Kenya got Indian snapper Prashant Vaidya highly commended. Phil Jones, CEO of the Societies, said: “The Spirit of Nature competition brought in hundreds of tremendously high standard of images. Third place in the Spirit of Nature Photo competition – Kingfisher by Darren Athersmith from Cumbria, taken in southern Scotland. Nature is wonderful! Amazing photos!